Nigerian candidate for the post for African Union Commissioner for Peace and Security, Ms Fatimah Mohammed, narrowly lost to her Algerian counterpart and incumbent, Mr Smail Chergui. The Election, conducted at the 28th Summit of African Union Head of State and Government on Monday night at Addis Ababa was full of intrigues. Peace and Security Commissioner is usually regarded as the most important of the commission’s eight commissioners. Others include commissioners for Social Affairs, Trade and Industry, and Economic Affairs, Political Affairs, Infrastructure and Energy, Rural Economy and Agriculture, Human Resources, and Science and Technology. 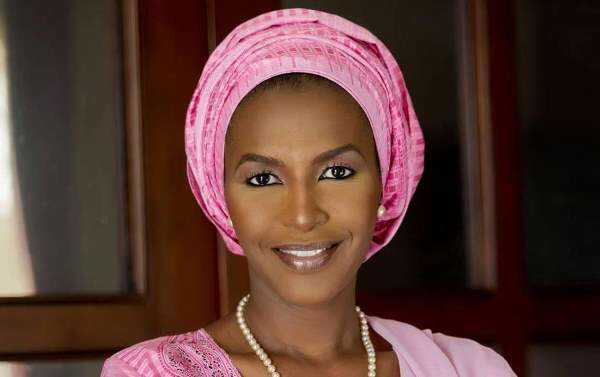 Mohammed was said to have been beaten by one vote as she garnered 35 votes while Chegui polled 36 votes at the second round of the election. Nigerian candidate was said to have initially got 26 votes at the election which was initially stalemated in the first round due to discrepancies which led to a protest. It was discovered that there were some sorts of rigging as some voters were alleged to have voted twice, while some who were not eligible voters found their ways into the election venue. Mauritania was found culprit as of one its delegation who was vying for another position was found in the hall, and also voted more than one time. The leader of the delegation from Mauritania was said to have tendered sincere apology for the development. It was also alleged that there was exchange of cash to woo voters at the election venue. These developments were said to have led to a protest and the first round was cancelled. However at the second round which entered into the midnight, Chergui polled 36 votes which is the expected two third majority needed to clinch the post. This is the fifth time Algerian is winning the position, being the only country that has occupied that post since the establishment of African Union in 2001. Another factor militated against Nigeria candidate was said to have been zoning of the principal officials. AU was divided into five geographic regions of Africa comprises of East, North, Southern, Central and West Africa. Under article 6 of the Commission Statutes, the region from which the Chairperson and Deputy Chairperson are appointed is entitled to one commissioner each. All other regions shall be entitled to two commissioners. At least one commissioner from each region shall be a woman. Mr Thomas Quartey of Ghana had already been elected as the new deputy Chairperson, and Samate Minata from Burkina Faso who had been tipped for the post of Political Affairs was also from the West. The News Agency of Nigeria (NAN) reports that Samate Minata from Burkina Faso won the post of commissioner for Political Affairs while Abou-Zeid Amani was elected as commissioner for Infrastructure and Energy. Elfadil Mohammed from Egypt was elected as Commissioner for Social Affairs, Muchanga Albert Trade and Industry as Sacko Leonel-Correa from Angola elected as Rrural Economy and Agriculture commissioner. The remaining two portfolio of commissioner be elected from Easter region at the thirty first ordinary session of Executive council to be appointed at the 28th ordinary session of the Assembly in July 2017.